Restoration & conservation of a partially destroyed stained glass panel – St. Mary’s Church, Penwortham. Stained glass restoration, repair and conservation forms a large proportion of the work undertaken by Lightworks. Taking care to advise clients of the most appropriate procedures specific to individual projects (and to source the finest quality materials), Lightworks take great pride in being able to contribute to the continued safeguarding of the glass and glazing contained within our churches, historic buildings, listed properties and private residences across the country. Relying on over 35 years collective knowledge and expertise, the utmost care, consideration and level of craftsmanship are applied to each and every project undertaken (irrespective of age, scope or original maker). 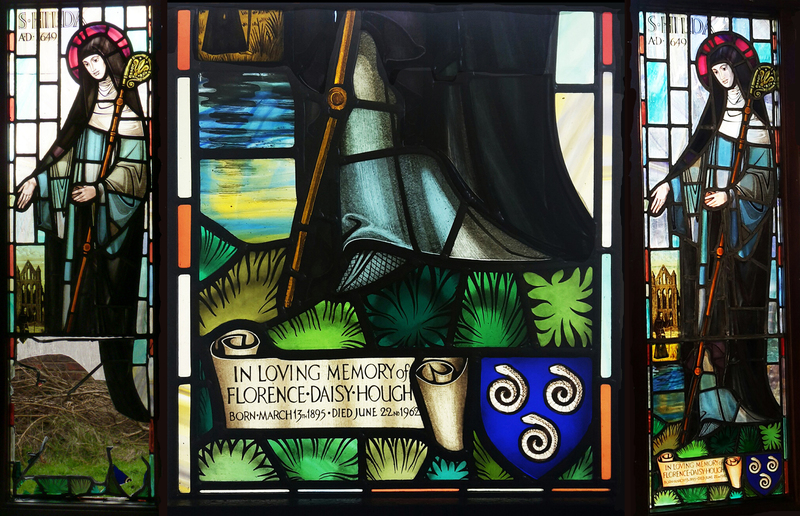 Some of the companies more notable projects in the field include the restoration of stained glass by a number of the masters of 19th and 20th century including Pugin, Morris, Hardman, Kempe, James Powell & Sons and Shrigley & Hunt. Lightworks were also responsible for the restoration and conservation of a set of windows containing original “forest glass” at Whalley Abbey, Lancashire; dated to the mid 16th century and believed to be amongst the oldest remaining glass of its type in the country.